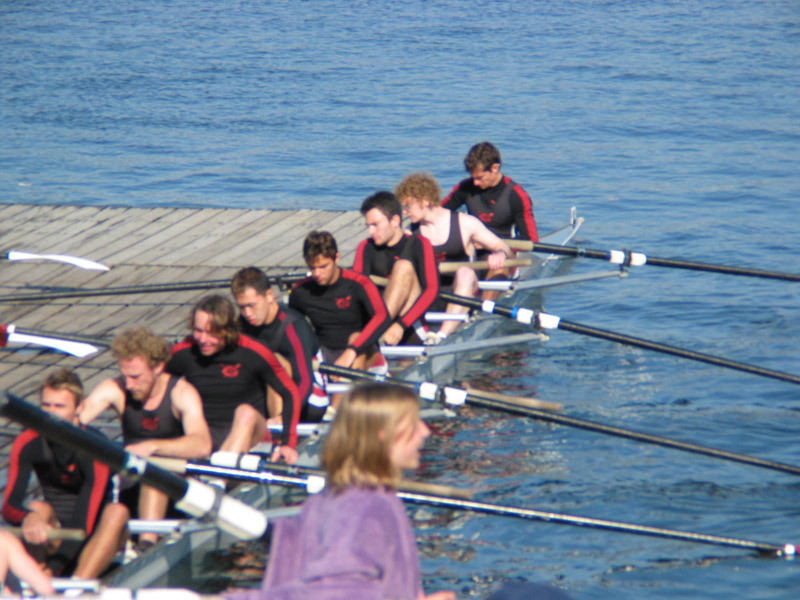 Men's Open 8A, University of Chicago Crew. Karl La Favre second from bow (second from right). Preparing to leave dock.